Poetic, philosophical, a treat for the eyes. 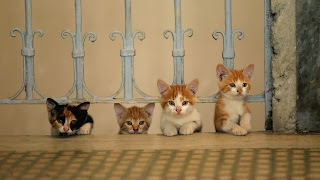 A celebration of felines. Hundreds of thousands of cats roam the metropolis of Istanbul freely. For thousands of years they’ve wandered in and out of people’s lives, becoming an essential part of the communities that make the city so rich. Claiming no owners, these animals live between two worlds, neither wild nor tame –and they bring joy and purpose to those people they choose to adopt. In Istanbul, cats are the mirrors to the people, allowing them to reflect on their lives in ways nothing else could. New York, NY – The big white suit that seemed to dance on its own is back. 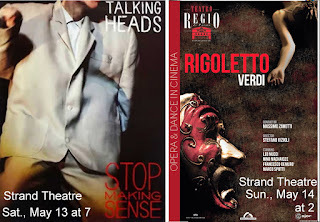 Palm Pictures proudly brings back STOP MAKING SENSE, the extraordinary concert film presenting the Talking Heads at their phenomenal peak – a true piece of pop-culture history. Talking Heads emerged from New York’s punk rock scene in the late 1970s with a thrilling new sound combining art rock, funk, world music and the droll vocals of sensationally cerebral frontman David Byrne. By 1984, Talking Heads – comprising Byrne, Tina Weymouth, Chris Frantz and Jerry Harrison -- were one of the world’s leading bands, creating records that were artistically innovative and challenging but also hugely popular. Rolling Stone magazine’s 2003 list of the greatest rock albums of all time includes four by the Talking Heads; the band was inducted into the Rock and Roll Hall of Fame in 2002. STOP MAKING SENSE captures Talking Heads at their best in concert footage shot at the famed Pantages Theatre in Hollywood. Directed by the late Jonathan Demme, Oscar-winner for “The Silence of the Lambs,” the film contains 16 songs, including such favorites as “Psycho Killer,” “Burning Down the House,” “Life During Wartime,” “Once in a Lifetime” and the hit cover of Al Green’s “Take Me to the River.” David Byrne doing his art-nerd dance wearing an oversized, broad-shouldered white suit became the film’s signature image -- and one of the most iconic of the 1980s. The film also made technical history as the first made entirely utilizing digital audio techniques. STOP MAKING SENSE has been remastered in high definition from a 35mm interpositive. Considered one of Giuseppe Verdi’s greatest accomplishments, Rigoletto continues to enthrall audiences worldwide with its tragic plot and famous arias. One of the most popular arias of all time, “La donna e’ mobile,” is so catchy that prior to Rigoletto’s premiere in Venice of 1851, Verdi swore the tenor to secrecy, forbidding him to sing, hum, or whistle it anywhere except in his private rehearsals. Verdi knew that if someone heard the melody on the street, they could copy it down and claim to have written it themselves, before the opera’s debut!